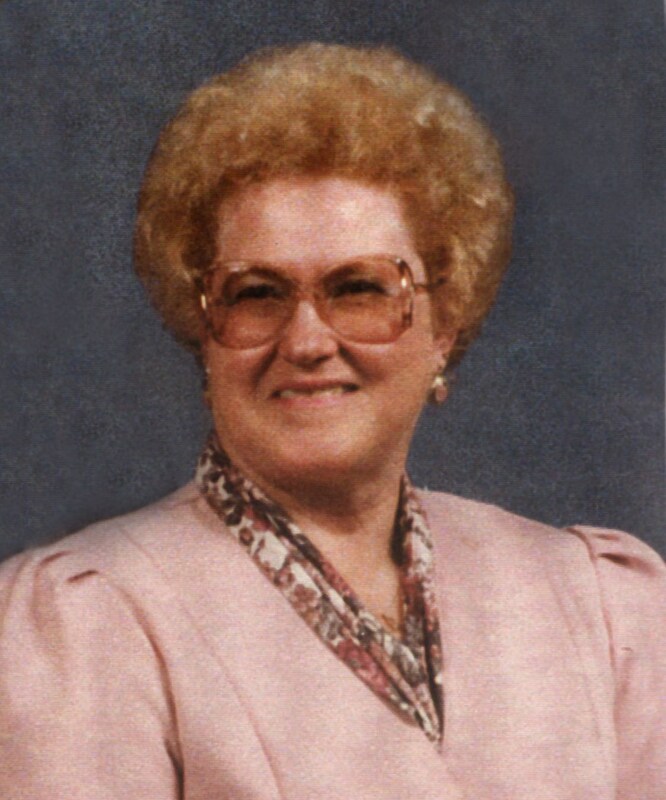 BURLEY – Gay Neiwert, 85, of Burley, Idaho, passed away peacefully at her home March 30, 2019, with her husband, Fred, by her side. Gay was born April 10, 1933, to H.L. Ingram and Dora Johnson Ingram in Declo, Idaho. She was the middle daughter of three girls. Gay grew up in a farming family in the Springdale area and attended school in Declo through fifth grade. Her family would later move into the Burley school district where she graduated from Burley High School in 1951. Gay enjoyed riding horses and rode for Cassia County Rodeo Queen the same year. Gay met Fred Neiwert, the absolute love of her life, in 1944. The two started dating on horseback, and a few years later they were married on June 27, 1951. Fred would always impress her by saddling her horse. Gay and Fred had three children: a son, Randy; and two daughters, Dorily and Darla. She was always very hard working, raising kids, and helping on the farm. Once the children started school, Gay went to work at Albertsons part time as a retail clerk and also as a teller for Idaho Bank & Trust/Key Bank, dedicating more than 15 years to each place until retiring in 1995. Gay was always busy. She had a love for gardening and doing yard work, and, with a lot of help from Fred, the two annually had one of the most beautiful flower gardens in the area, along with a very impressive produce garden. She had a passion for scrapbooking, quilting and afghan making, and every Fall she became a master canner. She crocheted an afghan for every grandchild for their graduation present, which was far more meaningful to them than anything money could buy. She was a member of Soroptimist International and the Cheerful Doers Home Demonstration Club, which she enjoyed very much. Gay was also a faithful member of the First Presbyterian Church in Burley, where she and Fred spent countless hours of their time participating in activities such as making noodles and German sausage, while also helping organize many events like the annual sausage supper and Easter egg hunt. As busy as she was, she was never too busy to take the time to relax and visit with her family and friends. Gay loved to bake as well. She seemed to always have something delicious to eat whether it be homemade banana and zucchini bread, or chocolate and snickerdoodle cookies. She was a loving, kind, caring, and extremely thoughtful wife, mother, grandmother, and great-grandmother. She was beautiful from the inside out, and will forever be remembered as such. She is survived by her husband of 68 years, Fred Neiwert; son, Randy (Lynette) Neiwert of Eagle, Idaho, Dorily (Dale) Dalsoglio of Meridian, Idaho, and Darla (Clint) Kidd of Declo, Idaho; 13 grandchildren; and 18 great-grandchildren. She was preceded in death by her parents; two sisters, Wave Thomas and Chereen Shackelton; and one grandson, Shane Boguslawski. The funeral will be held at 11 a.m. Thursday, April 4, at First Presbyterian Church, 2100 Burton Ave., in Burley, with the Rev. John Ziulkowski officiating. Burial will be in Pleasant View Cemetery. Friends may call from 6 until 8 p.m. Wednesday, April 3, at Rasmussen-Wilson Funeral Home of Burley, 1350 E. 16th St., and one hour prior to the service at the church on Thursday.